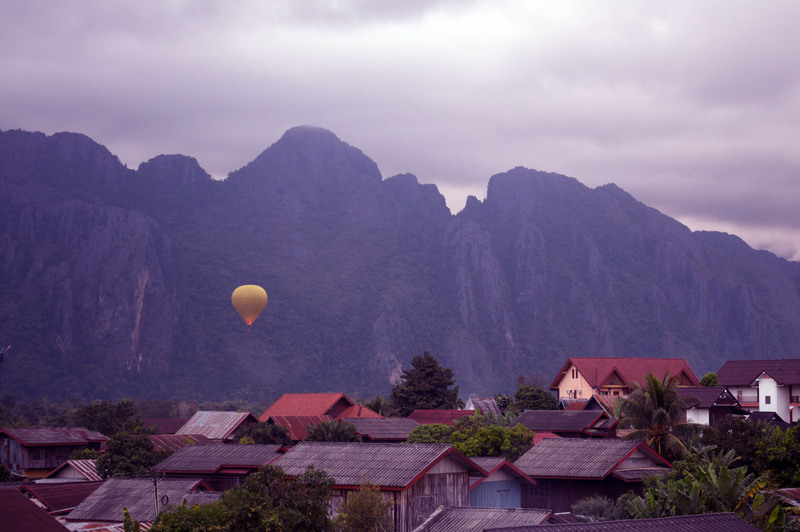 Vang Vieng is a place synonymous with narcotic paradise, backpacker raves, and the infamous “tubing” craze. Vang Vieng won’t let you leave without partaking in at least one day tubing. By tubing, I mean floating down the river in a rubber ring, stopping at bars along the way with the sole purpose of getting totally off-your-face. You could call Vang Vieng the Ibiza of the Orient. My first taster of Vang Vieng was a YouTube clip someone showed me, of hordes of intoxicated westerners mud-fighting on the banks of the river, and fox-flying into the water. There is an assumption circulating among backpackers that tubing in Vang Vieng is no more, after the 2012 crackdown. Yes, this did result in stricter reinforcements after the parties became deadly, but it isn’t true that the tubing has stopped, it’s just become a much smaller affair. 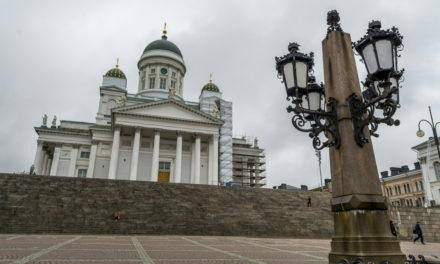 It’s still impossible not to think the place ruined; a place which is so naturally beautiful, now tainted with the drunken revelry of westerners passing through with nothing other to do than get drunk. The serene drum-thud of monastery gongs is now replaced by commercial-pop blasting from speakers. Lao codes of respect are posted around the town for the tourists, yet you’ll see girls in their bikinis. And okay, there might be severe regulations down the river to do with the bars, but there definitely isn’t any issue acquiring drugs around Vang Vieng. Walk down the main street and you’ll see restaurants all round with opium, mushroom, marijuana-topped pizzas openly displayed on the menus: the notorious “happy” pizza. Be aware if you do take drugs because if you are caught by the Lao police you can get huge fines, which the police are only too happy to put straight into their own pockets. And then you won’t be so happy. Of course, there are also benefits to having a steady influx of tourists; one benefit being that Lao people can improve their English through interaction with westerners. There is also a growth in volunteer projects, which encourage volunteers to teach, enhancing the career prospects of Lao people. Obviously many businesses are benefiting hugely from the tourists. 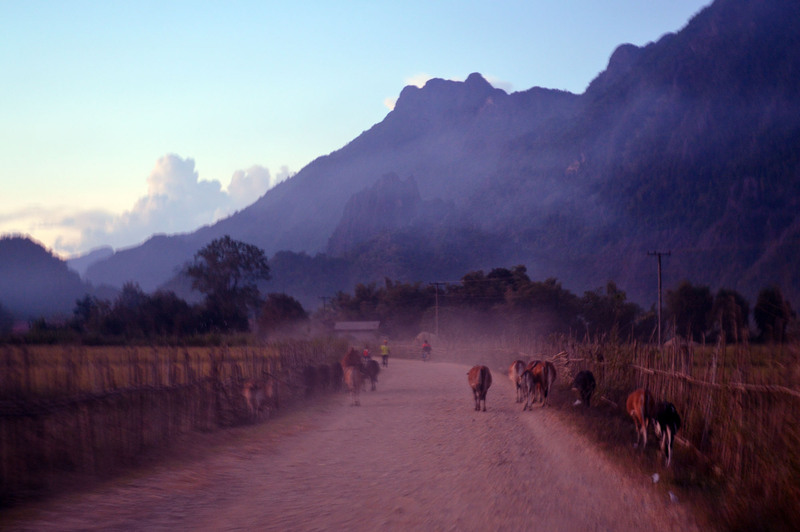 The first time I visited Vang Vieng was in the monsoon season, in summer 2013. I was there for six weeks, but most of the time I spent volunteering in a village 7km out of town. I didn’t go tubing once, nor did I have the desire to go, but when I returned in the high season, which lasts from around November to April, I started work at a bar and tubing was part of my job description. The tubing idea was allegedly conceived (ironically) by the owner of Mr. T’s Organic Farm, who used to lend his volunteers old tractor tires so that they could float down the river after a day’s labor. Obviously, never did Mr. T. imagine in his worst nightmares, that this innocent idea of his would lead to what tubing is today. After hearing so many good things about the place, it was disappointing to arrive and find it resembled a ghost town. After a while in the town, immersed in the party scene, you find yourself wishing you were far, far away in those jungle summits that surround the town. Then I found something in Laos which exposed me to a completely different side to Vang Vieng, and it was just over the river. It’s a place advertised as Another Vang Vieng, and it rings completely true to this statement. Crossing the river, you’re no longer in concrete jungle, it’s like you’re transported to the raw Lao life, which the place would have been like before tubing began. The place I’m talking about is the Saelao Project, the flip-reverse of the town. It’s a non-profit volunteer project: organic, untouched, beautiful, natural, quiet, green; all the things that should come to mind when you think of Laos. 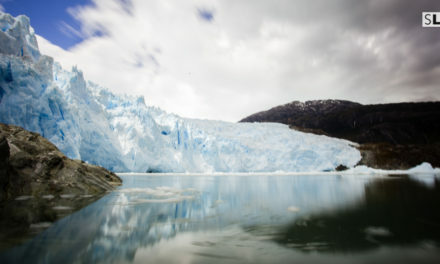 Saelao Project is located near to the Blue Lagoon. The lagoon, which is only truly blue in the dry season, is another popular tourist destination. Saelao focuses on using bio-gas as a source of sustainable energy. This bio-gas system converts organic waste into usable energy, for instance into gas for firing the stove and as a natural fertilizer for home-grown crops. The project is also devoted to teaching the local people. There is a community center where volunteers can stay and teach every evening. This was such a rewarding experience. The children were so motivated to learn; every day they’d cycle, sometimes miles down the dark road after school, and turn up hours early in anticipation for the lesson. Another great thing about staying in the village was that you got to experience the Lao culture first-hand. I attended Buddhist ceremonies, cockerel fights, learned how to cook traditional food, and worked with locals in the rice fields among many other things. Students at Saelao in anticipation of their English lesson. Of course, tubing isn’t the only thing to do in Vang Vieng. There is an abundance of caves in Laos, Vang Vieng being no exception, and if you’re an adventurous type, caves like Poukham Cave above the Blue Lagoon are great to explore inside. Take warning if you don’t like spiders as they are home to the goliath spider. You can spot them deep inside the cave if you hold the torch to eye-level, as the spiders have reflective bodies like diamonds. There are the summits to climb if you want to try rock-climbing. Adam’s Rock Climbing is the most reputable place. 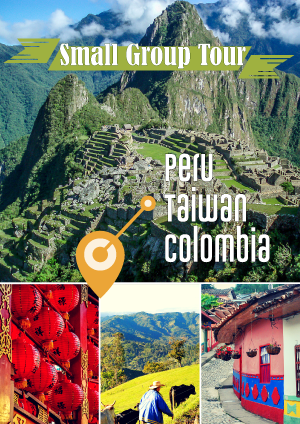 Or you can ride in a hot-air balloon, and get a wholly different perspective – rides go at sunrise and sunset. Vang Vieng, a place I despised at first, unexpectedly became like my second home. There is a strange kind of beauty to the place. The place holds a kind of allure for the traveller, like an unrestrained paradise. The eclectic mix of Lao and westerners, the hot-air balloons that pass over in the evenings, waking up to the mountains every day, the 7km dirt-track to the village, Lao smiles… the town was so small, there was a real sense of community. Actually, many westerners had felt the same connection I did to the place, and ended up ‘trapped’ there. People called these ‘the people that never left’. It’s incredibly easy to get a bar job in Vang Vieng in the high season, simply by the act of walking into the bars and speaking with the managers, you can be employed within two minutes of arriving in town. Bars will often provide free food, drink and accommodation, so it’s a fair deal. I feel I experienced both sides to the town, the party side and the eco side with the volunteer project. I have to say both experiences were really amazing. I loved the bar life. I loved the village life, loved teaching and working on the rice fields, experiencing real Lao culture. If you stick around in the town for long enough, it could be that you get invited to a Lao wedding. I got invited to two weddings in the two months I was there. Many people say you haven’t fully experienced Lao culture, if you haven’t attended a Lao wedding. It’s definitely an invitation you shouldn’t turn down if you ever get the privilege. I think that now tubing has mellowed, Vang Vieng emerges as a brighter and happier place for everyone. 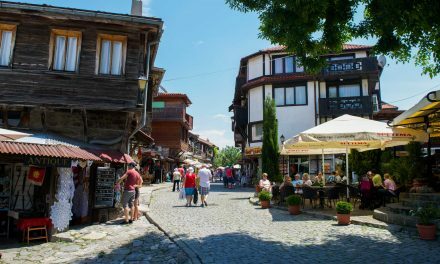 With the volunteer projects like Saelao and Mr T’s Organic Farm, the town is beginning to attract a different demographic, people with a keen desire to help these communities become more sustainable, and less reliant on the income from tourists. One last thing about Vang Vieng and its future. A Lao man I met called Onkeo, took me to visit a primary school just outside of Vang Vieng. Inside the dingy mud-floored room, there was a teacher running between two classes teaching them alternately – engaged in not one, but two different lessons. It was painful to watch because this was simply due to the shortage of teachers in the village. 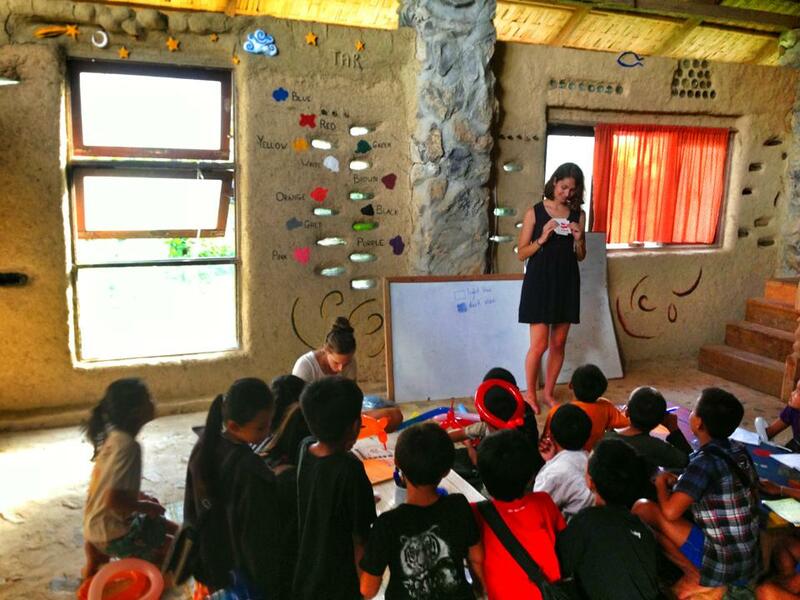 Onkeo’s dream is to build a volunteer center just like Saelao, providing English lessons to the children in the village. These kids really deserve the same opportunities we have in the west. I hope one day I can return to Laos and help build his dream. 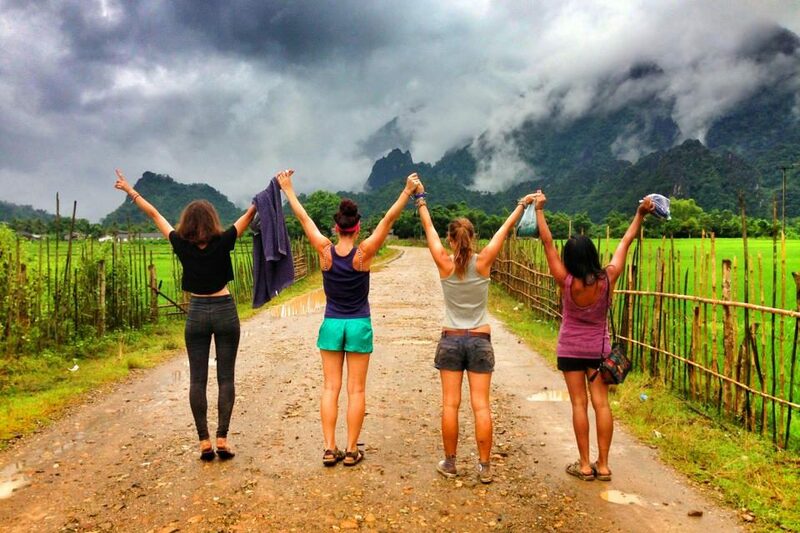 I feel as an expat told me, “All roads lead back to Vang Vieng”. Eva Clifford is a freelance writer currently living in Brighton, England. 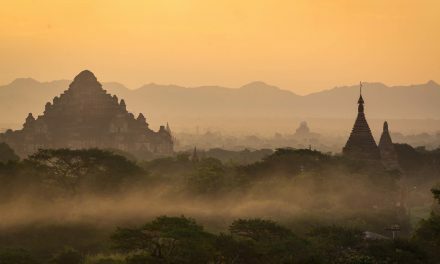 She has a passion for both travel and writing have most recently journeyed through Thailand, Vietnam, Cambodia, and Laos, where she lived and worked for a substantial amount of time. She has two blogs: evaclifford.wordpress.com and evamarcelle.tumblr.com. So touching. 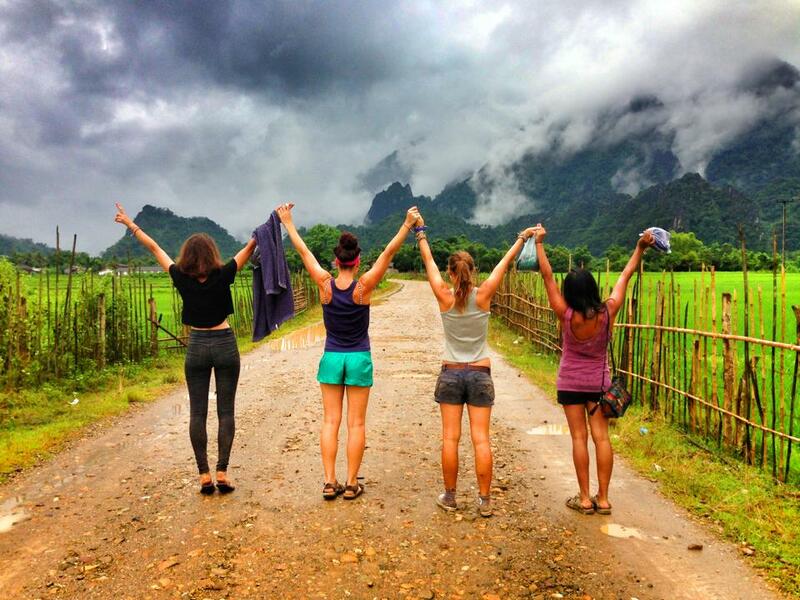 Seems like Vang Vieng is a good place and has many to offer apart from the tube. I feel for the teacher to and I hope he manages to build the volunteer centre.